The Lehrman Institute encourages the freedom and national independence the Founders so valued, for which they risked their lives and fortunes. "How soon we forget history," said America's first President. "Government is not reason. Government is not eloquence. It is force. And, like fire, it is a dangerous servant and a fearful master." The Lehrman Institute is dedicated to public policy, educational and historical research. It was founded in 1972 by Lewis Lehrman. The Lehrman Institute has sponsored a wide range of research and discussion in the fields of economics, historical research, foreign policy, and urban policy. During World War II the “special relationship” between the United States and Great Britain cemented the alliance that won the war in the West. 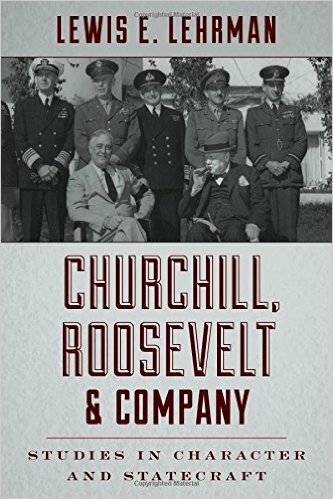 But the ultimate victory of that partnership has obscured many of the conflicts behind Franklin Roosevelt’s charm and Winston Churchill’s victory signs—the clashes of principles and especially personalities between and within the leadership of the two nations. 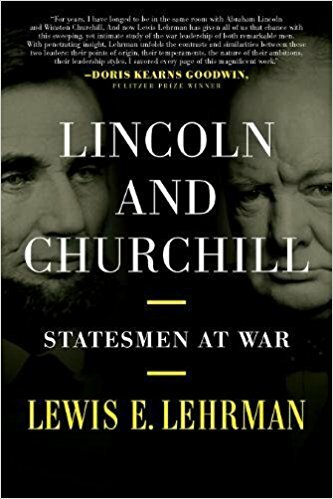 Lewis E. Lehrman, a renowned historian and National Humanities Medal winner, gives new perspective on two of the greatest English-speaking statesmen—and their remarkable leadership in wars of national survival. The Founders knew that their citizens and their government colleagues were imperfect. The Founders themselves were imperfect. In an imperfect world of imperfect people it could not be otherwise. Before leaving for his inauguration in 1789, President-elect Washington wrote: "My endeavours shall be unremittingly exerted (even at the hazard of former fame or present popularity) to extricate my country from the embarrassments in which it is entangled, through want of credit; and to establish, a general system of policy, which, if pursued will insure permanent felicity to the Commonwealth. I think I see a path, as clear and as direct as a ray of light, which leads to the attainment of that object. Nothing but harmony, honesty, industry, and frugality are necessary to make us a great and happy people." 1) Will the perennial global monetary crisis and the century-old age of inflation still be underway a generation from now? 2) Will the global economy have succumbed to national rivalries, mercantilism, financial disorder, and entropy? 3) Or, will monetary order have been restored by the leading nations of the world in their own self-interest? "Abraham Lincoln seldom got the chance to go to school. He went to school "by littles," he said, and received fewer than 12 months of schooling." "In the untrammeled interior of the mind's eye, young Lincoln followed his unrestrained desire to explore new intellectual worlds, even the world of American history, of politics, of law. There, in the frictionless world of thought and fantasy, young Abraham Lincoln found the freedom, the vocation, the solace he yearned for, unshackled from the irremediable, unrequited, hard labor of farmer and village artisan." In the Newly Revised and Enlarged Second Edition There are a few lessons to take away. One lesson of this book is that, contrary to conventional academic opinion, the quantity of money in circulation is not the problem. The problem of monetary disorder is how money is issued. Lewis E. Lehrman endeavors to answer this and more with The True Gold Standard. Almost four decades ago, during America's worst economic period since the Great Depression--David P. Calleo, Harold Van B. Cleveland, Charles P. Kindleberger and Lewis E. Lehrman wrote the first edition of this book in 1976. Now, in 2012, one is tempted to quote the inimitable Yogi Berra: "this is déjà vu all over again." The four essays by each contributor with a new foreword and afterword by Lewis E. Lehrman details how American and world prosperity depend on monetary reform, Federal Reserve reform, and restoration of international monetary order. © 2005- The Lehrman Institute.